Not-for-profit dental practice opens in Surrey, B.C. The pair of doctors behind the project say they hope to provide care to those who currently can't afford it. A pair of doctors have opened a dentist office for low-income residents in Surrey, and say it's the only clinic of its kind in the city that's grappling with growing unaffordability. "Dentistry is quite often inaccessible to most people because of financial constraints and things," said Dr. Harpreet Dhillon of Strive Dental Clinic. 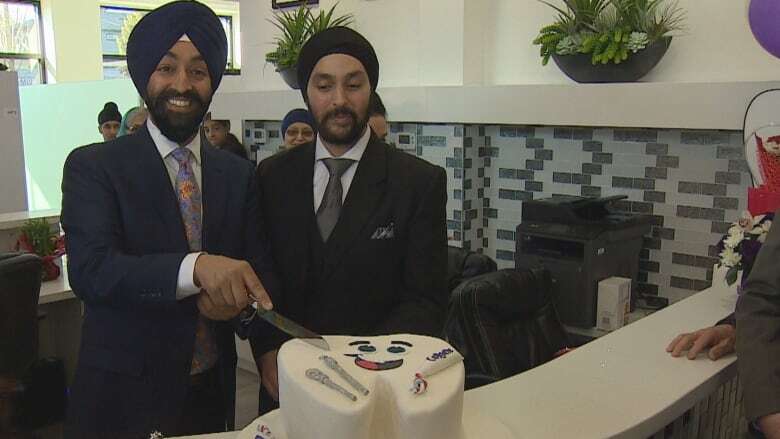 Dhillon and his friend and fellow dentist, Dr. Belrup Singh Patrola opened the clinic Saturday by cutting into a tooth-shaped cake. 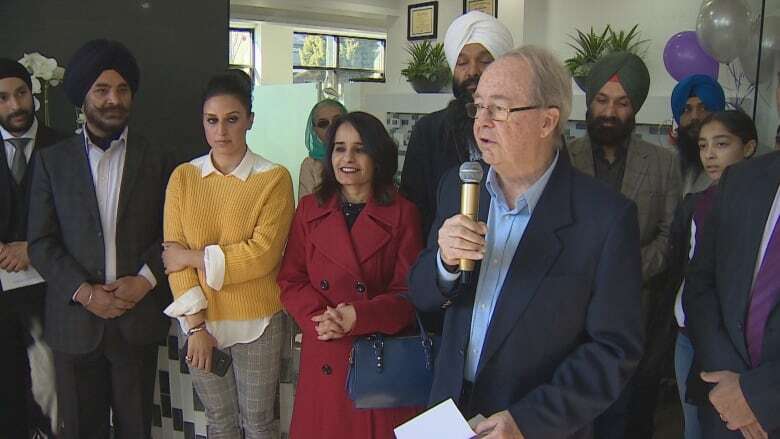 The opening drew politicians like Surrey Mayor Doug McCallum and Rachna Singh, MLA for Surrey-Green Timbers. Singh said more affordable dental care is needed in Surrey. "I think there was a big need for this thing, there are people who do not have the extended health care, who cannot afford dental care," said Singh. Dhillon says he's practiced dentistry for more than a decade, and often sees people, young and old, who suffer from dental disease and can't afford care. "So we wanted to give back to the community," he said. Patrola said he once had to get a tooth pulled because he could not afford the cost of a root canal. "That made me think ... imagine how many other people are in my shoes?" he said. Low-income patients will receive a 20 per cent discount on dental services. Any proceeds from the business will be given to community outreach projects and charities like the Surrey Food Bank. With files from Jon Hernandez.